Americans aren’t dying the way they used to. 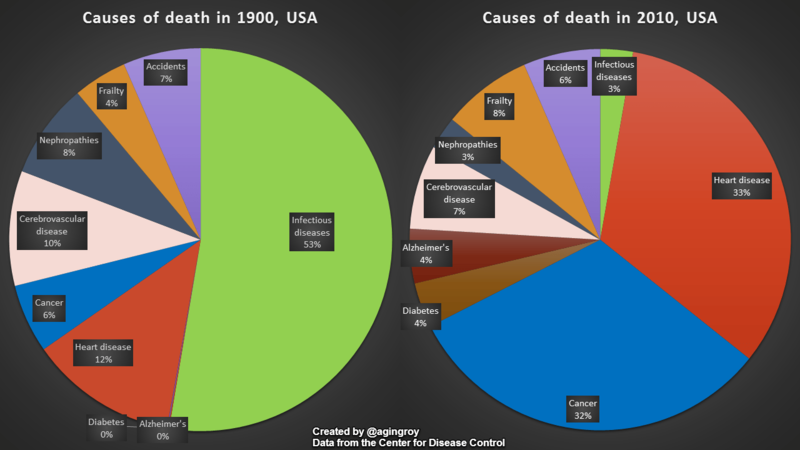 Advances in medicine and society have largely eradicated many of these diseases that were an overwhelming cause of death in 1900. But one disease in particular kills a lot more people today than it did a century ago. Cancer is now a leading cause of death in the U.S. In 1900, because of the lack of medical technology, it accounted for only a small portion of reported deaths. Let’s see what actually kills us. Next story The Shocking Truth About Electric Animals!